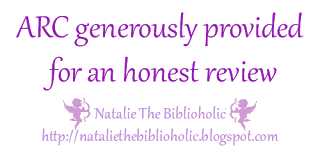 ARC Review: Enough by Danielle Norman | The Biblioholic ~ Read more. Sleep less. 4 “Easy. Breezy. Beautiful.” stars!! Ariel (pronounced R-E-L) had known nothing but pain and abandonment. She blamed herself for her mother’s deteriorating health and eventual death. Determined to start fresh, she moved to Orlando, the land of happily ever afters. But her happy ending wasn’t as close as she’d like. Luckily she had stumbled upon a knight in shining armor, a sheriff’s deputy, Kayson, who rescued her from some dastardly villains. Amidst some slimy drama and chilling suspense, they worked towards riding off into the sunset together. Who doesn’t love a hot Greek man? Especially one in uniform. I couldn’t get enough of Kayson and I very much appreciated getting his perspective. While Ariel was in denial about entering a relationship, due to her past hurts and assumptions, he was in no doubt that she was his forever. He really knew how to treat a woman and the author did an incredible job of creating an insanely hot, sensitive, protective book boyfriend in him. And his relationship with his family was something to envy. He was close to each member and it was evident in every interaction. Between trying to trap a crazy stalker, the fun and lively antics of this group of friends, the hijinks of the side characters, and the love story developing behind it all, this turned out to be a highly entertaining read. For a debut book, I’d say this was a huge success and I’ll be looking forward to her next one. I’m excited to see these characters again.